Do you love the style of vintage clothing? Or maybe you just like a good deal on pre-worn quality clothing? 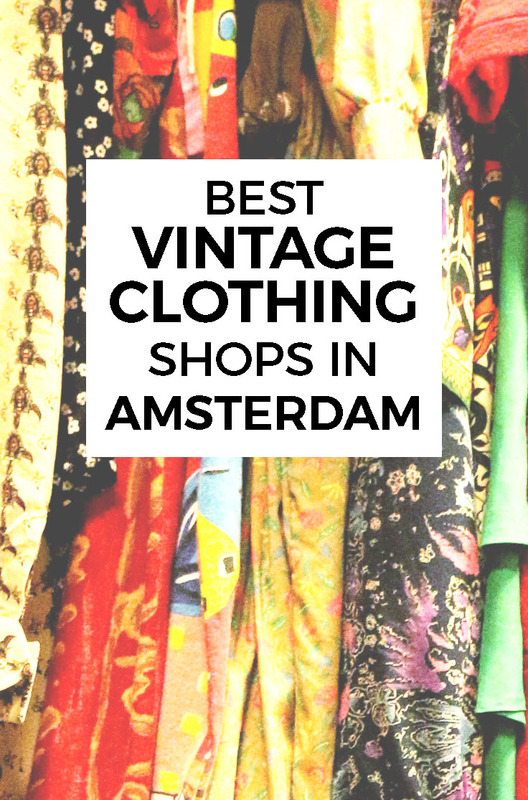 Either way, Amsterdam has a good selection of vintage clothing stores for you. 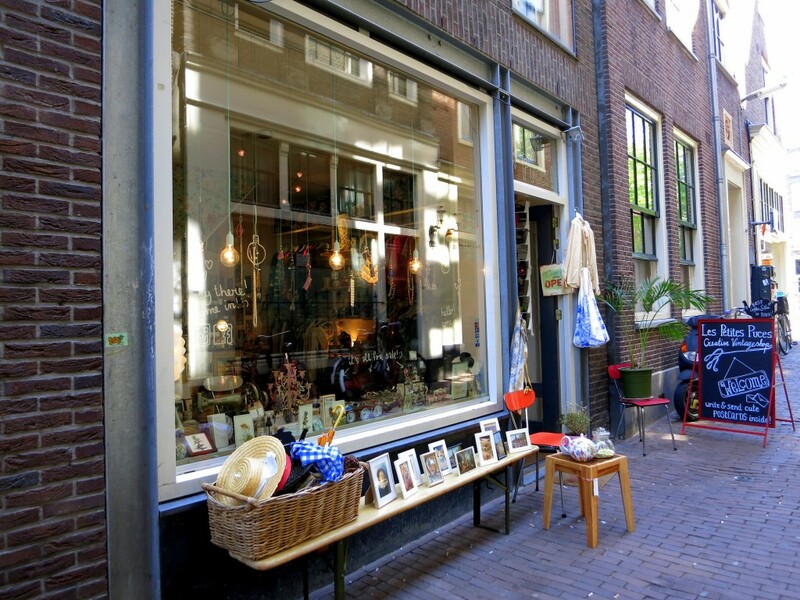 In addition to many wonderful vintage clothing shops and markets, Amsterdam also has terrific vintage and retro home furnishings stores with old grandma style dishes, crystal classes and brocante knick knacks for around the house. 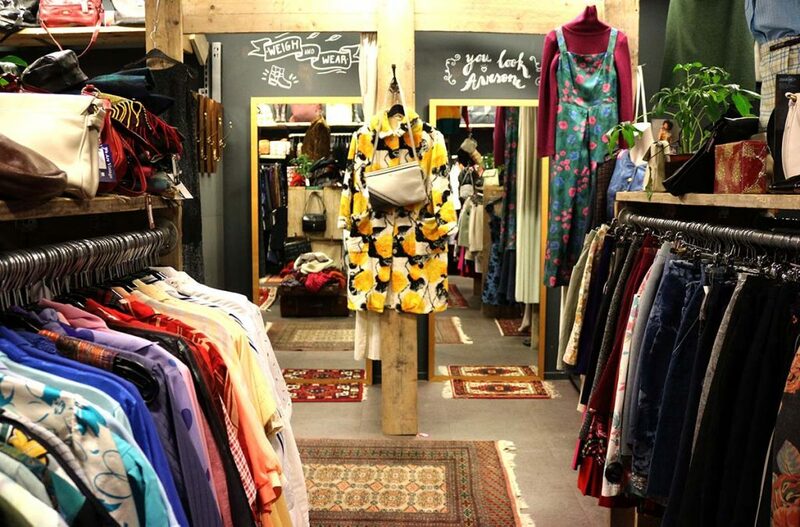 One of the largest vintage clothing stores in Amsterdam, Episode carries a huge variety of men’s and women’s clothing and accessories. Most items are used and vintage, while a few are new with a vintage feel or alternative style. Visit their four locations for a large selection of leather jackets and second-hand sweaters, two items that are always useful in chilly Amsterdam. 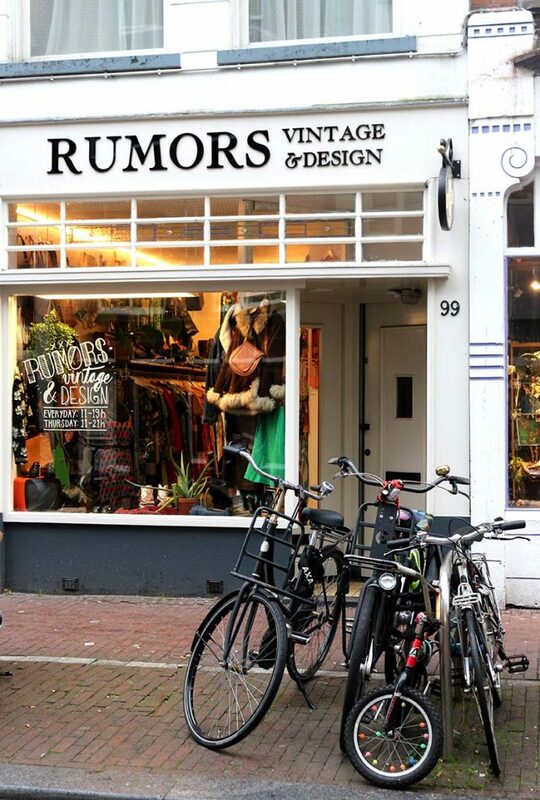 Known for their excellent selection of leather boots, lovely sweaters and warm gloves, Rumors Vintage should be your first stop for cozy winter wear. Well, it is true that in Amsterdam those items can be worn nearly 360 days a year. The weather is not always delightful. 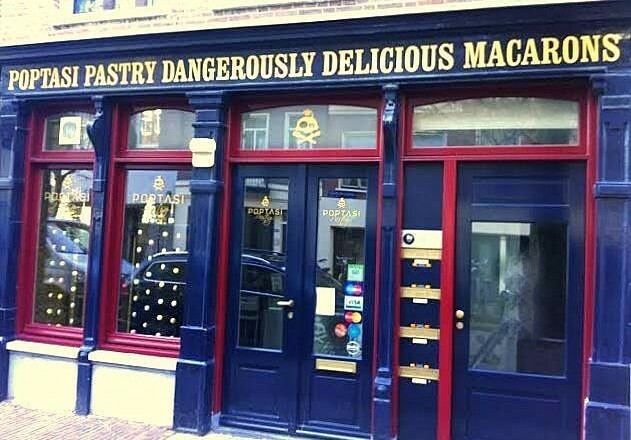 Thus, a visit to Rumors on Haarlemmerstraat is a must. 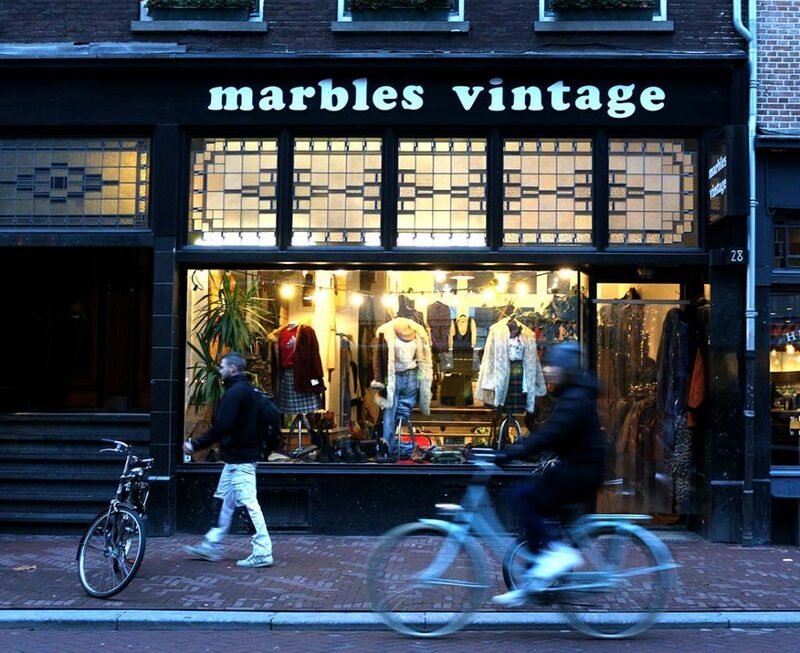 True vintage clothing lovers say this is the best shop in Amsterdam. 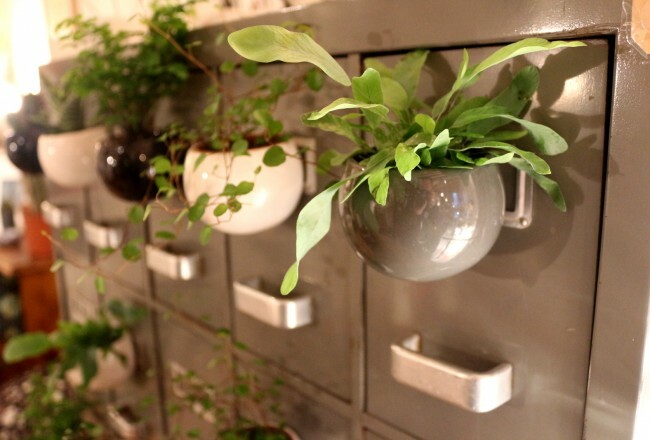 Items are handpicked by the two stylish owners and displayed lovingly in the shop. Stop by and check out their latest finds in dresses, men’s suits, leather shoes and jewelry. Specializing in fancy vintage party frocks and evening gowns, Laura Dols is a little girl’s dress up dream. The shop in the Negen Straatjes also carries men’s evening and party wear in addition to fun costumes for all ages. If you are into vintage linens, this store is a must stop. Check out the lovely tablecloths, napkins and towels from years gone by. 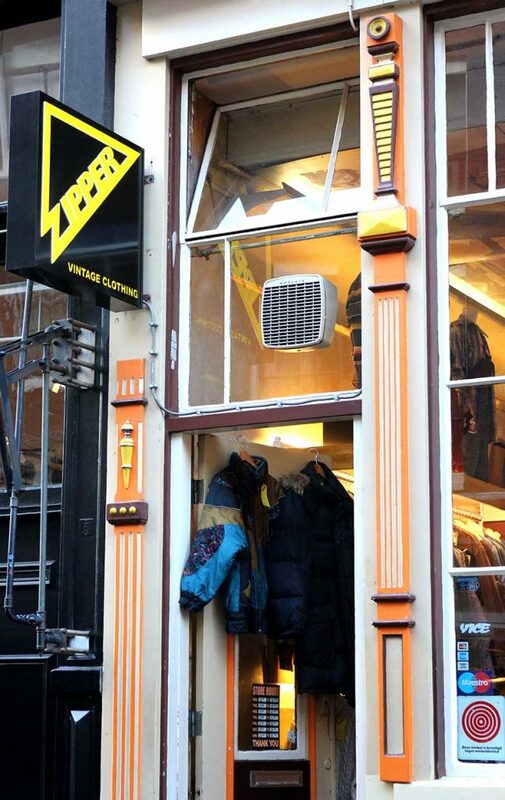 Zipper is a vintage store where you can find clothing and accessories from the 1950s through today. These two laid-back shops have everything from sunglasses and sundresses to used Levi’s. Zipper also recycles clothing to make their own designs, under house-label Ultra Zipper. Their two shops are a great place to look for costume pieces for holidays like Halloween and Carnival as well. In addition to the usual pre-worn shirts, sweaters and dresses, Bij Ons also carries vintage furnishings and home products. Visit one of their shops on Nieuwezijds Voorburgwal or the 9 straatjes to see what’s new each week. Sofas and chairs, luggage, sports equipment, or kitchen items may await! A sweet vintage shop in De Wallen, Petites Puces has a variety of knick-knacks and cute items to decorate your home as well as a small collection of vintage clothing. Stop in and say hello to the friendly owner, have a slice of cake and take a look at the vintage jewelry collection. 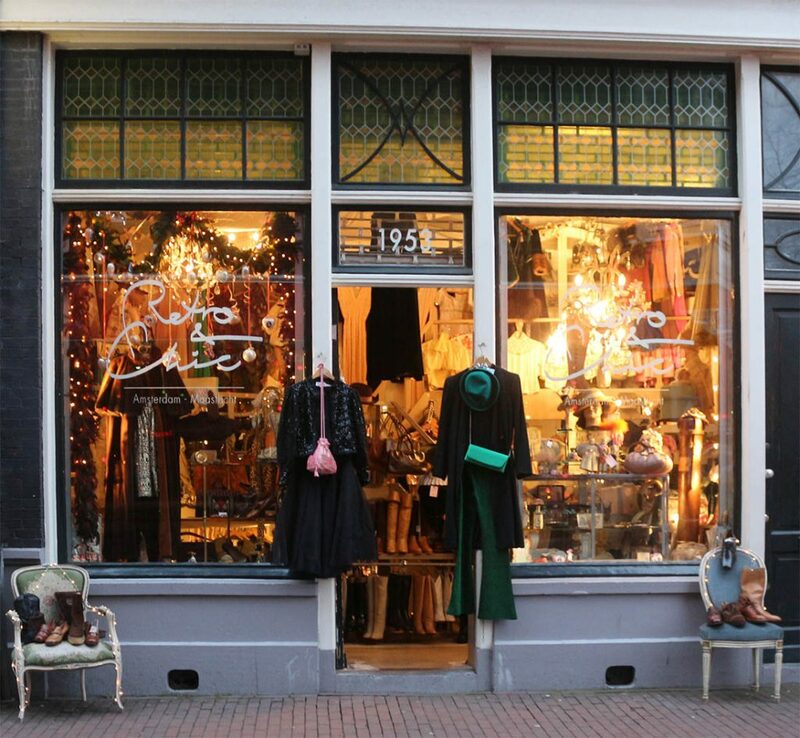 This large shop on Haarlemmerstraat is filled with all kinds of vintage finds. You’ll see a wide variety of hats, sweaters, coats, t-shirts and more! Wini also carries cool vintage costume jewelry and great purses and bags. Take your time to search through the shop for great deals on fun items. Perhaps you are looking for something to wear only once, maybe for a costume party, carnival or special night on the town? Check out Retro In & Outstyles in Oud-West for fun items that can be purchased or rented for a short term period. Stumped on what you want to wear for Halloween? They carry cool costumes and other items that will definitely get your creativity flowing. Bis is actually three shops linked together, one for men, one for women and one for military clothing. You’ll find an amazing array of vintage goods here including an interesting collection of sailors uniforms and military gear. A lovely shop for the fan of vintage. 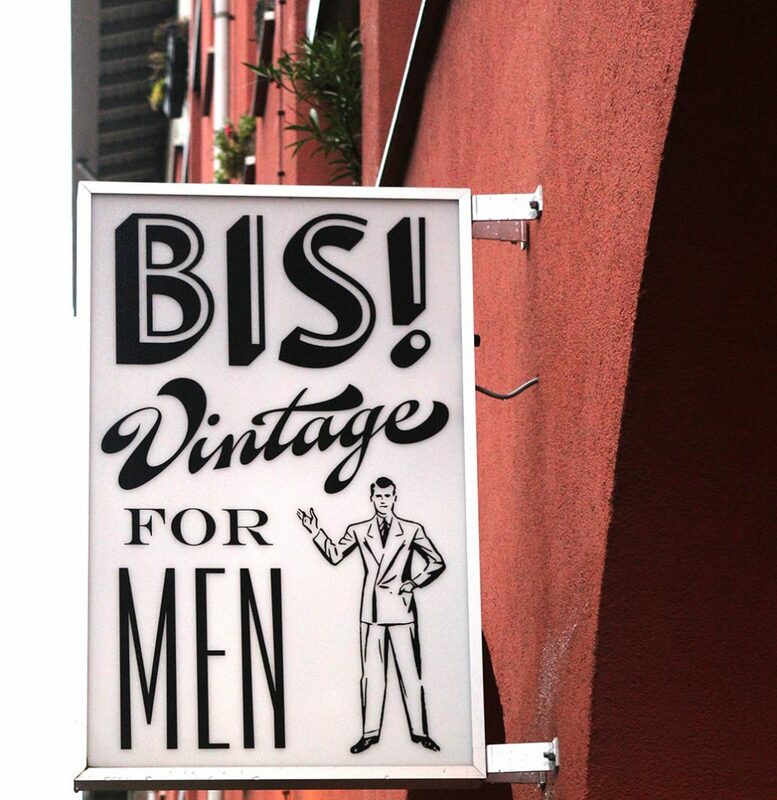 This is an especially good shop for men with their great collection of vintage suits. Be sure to stop in and take a look. Be sure to spare some time for lunch or a snack at Betty Blue just down the street. Marbles collects excellent fashion finds for vintage lovers. Come by one of their three Amsterdam shops to take a look at the fun jumpsuits, vintage sweaters and sweet skirts in stock. You’ll also find a selection of leather bags and shoes. 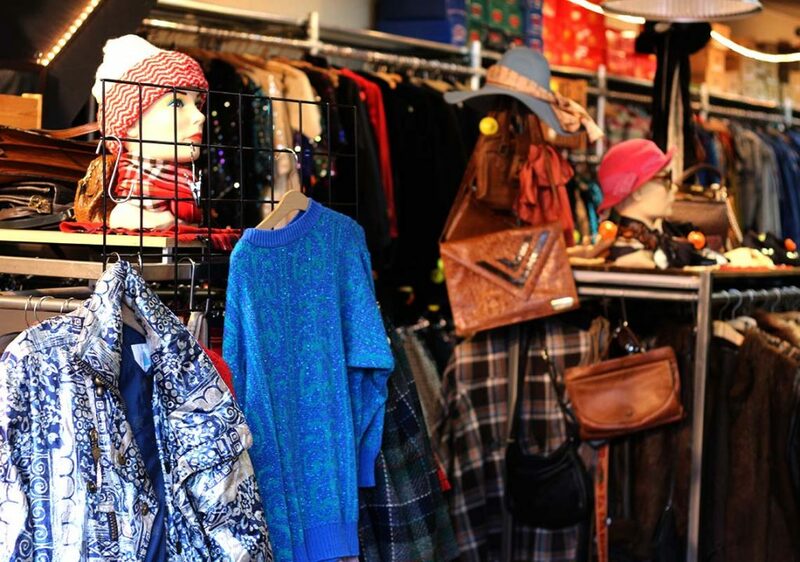 You’ll find vintage clothing for men and women at this cool shop. Fans of 70s and 80s styles will be sure to find things they love. Crazy colorful clothing for all kinds of occasions from festivals to parties to daily wear. Do you love vintage style clothing but you don’t mind buying something new? 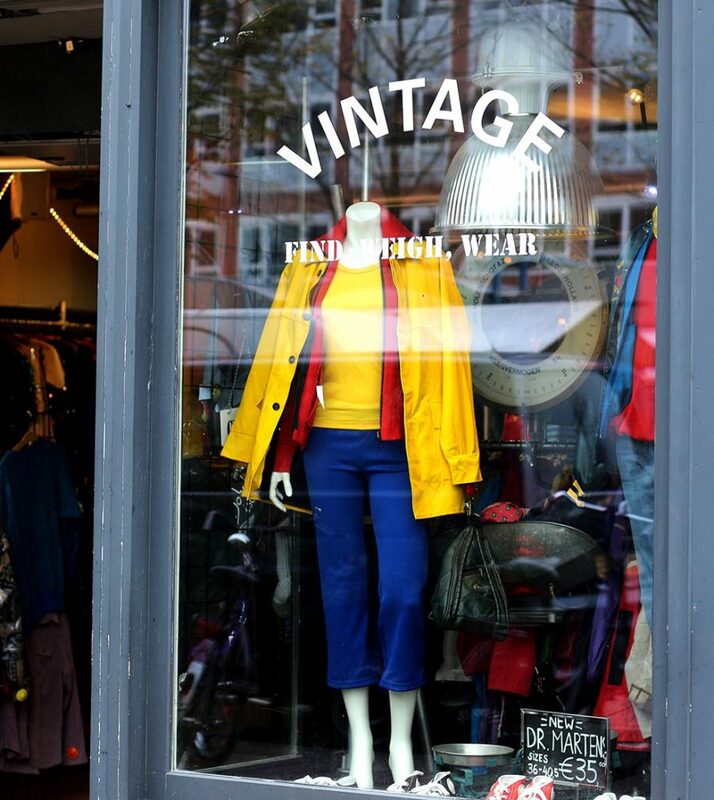 Drop into NicNic in the 9 straatjes for girlie vintage styles that will pick up your mood. Bright colors, fun patterns and frills are what you will find here. There are some used vintage items in addition to new things as well. Check out their collection of knee-high socks, so cute! This cozy shop in Oud West and Oost offers fun vintage style with lots of colorful rugs and funky furnishings around. They have a good selection of warm jackets and coats and colorful shirts and dresses. 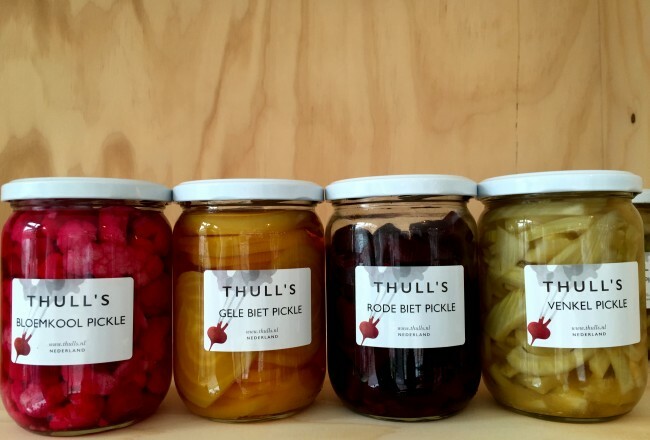 Come take a look at Kinkerstraat then pop across the street for a coffee at Lot 61 or grab a snack at De Foodhallen. In Oost, be sure to stop by beautiful Bar Botanique around the corner. Kilo Shop at the Waterlooplein and in de Pijp carries authentic vintage clothing and used clothing, priced by the kilo. Just choose the items you like and weigh them to get the price. There are color coded prices depending on the type of item, obviously shoes cannot have the same price per kilo as a blouse. 🙂 Come browse the stores to find what you are searching for. 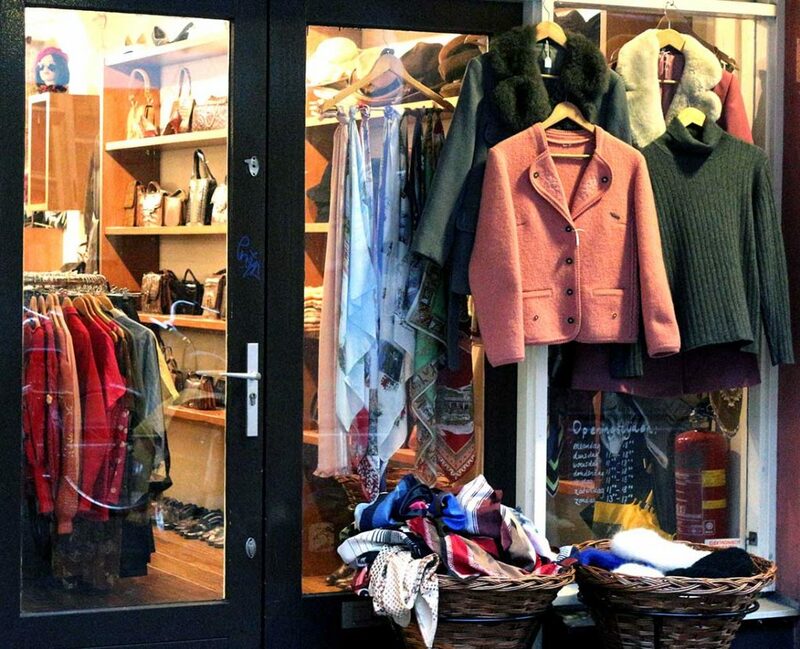 For vintage and used clothing at great prices check out the Vintage Kilo Sale outlet in Zuid. You’ll find shoes, tops, coats and vintage Levis in their huge space. Serious vintage lovers will want to check out this shop with items handpicked by owner Jan Brummer. Perfect for that special occasion where you need a special dress or complete outfit. The Jordaan is a wonderful area to stroll while looking for hidden vintage shops for that fashion find. Make sure Vind-It is on your route. 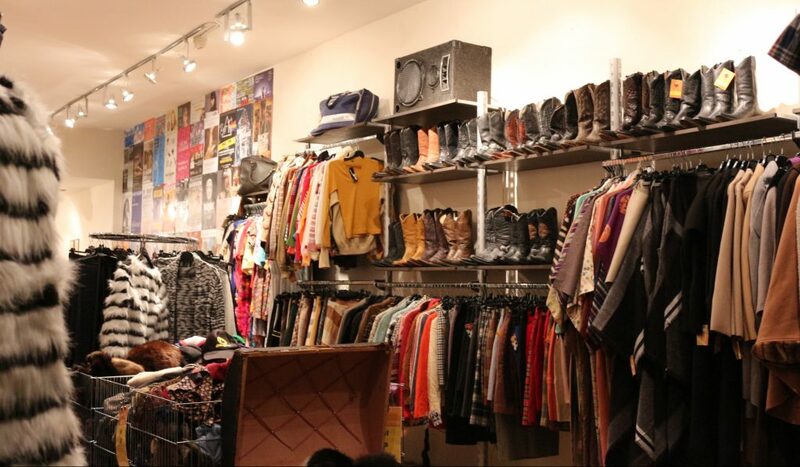 They stock all kinds of vintage clothing for men and women in their small shop. True vintage lovers will appreciate this shop, which is not your typical store but more of a personal shopping experience. The owner will hand select items for you over a cup of tea or even a shot of vodka. If you are looking for something different this is the place. 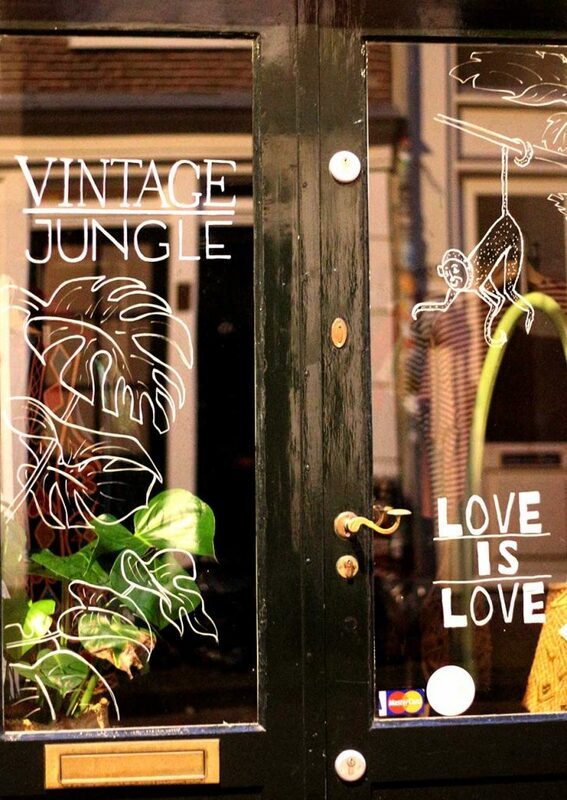 A cute little shop on a sweet Jordaan street, Vintage Jungle has vintage jackets and dresses and handbags in addition to a few newer gift items. Come in and take a look. 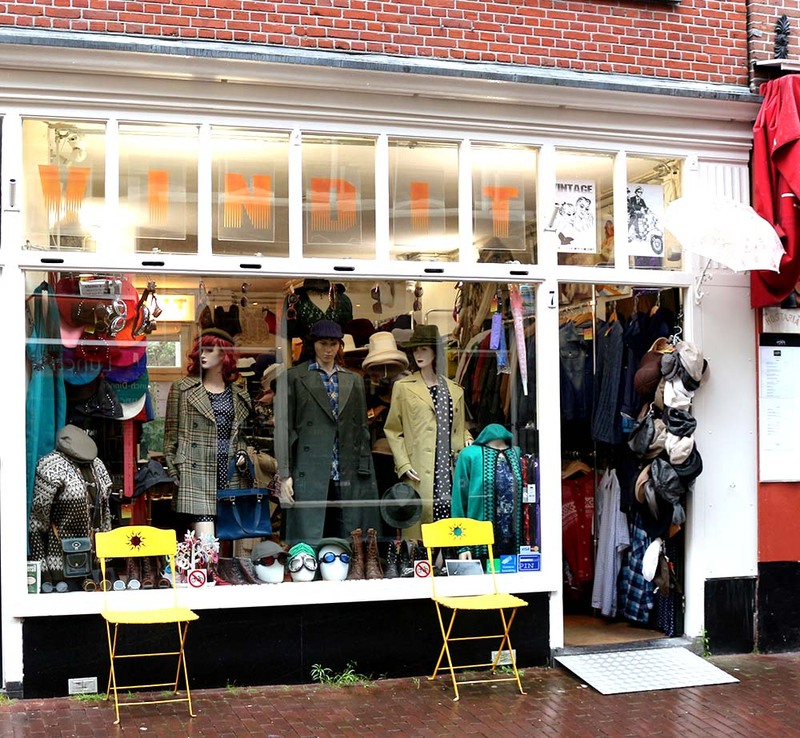 Petticoat is a small shop in the Jordaan with vintage and secondhand clothing for both men and women. They like to stock 50s and 60s clothing and Dutch designer brands especially so if you are looking for that you should definitely check here first. If you are a fan of vintage fashion but don’t mind buying something new, check out I Love Vintage. They have beautiful clothing in classic styles. A great option if you need a special size or are looking for a specific item for an important event. Monday morning the Westerstraat and Noordermarkt are taken over by the Lapjesmarkt, a clothing and textile market. A favorite of vintage clothing lovers, here you can find shoes, purses, dresses, jeans, and even fur coats as well as fabrics and trimmings of all kinds. It is one of Amsterdam’s weekly street markets. 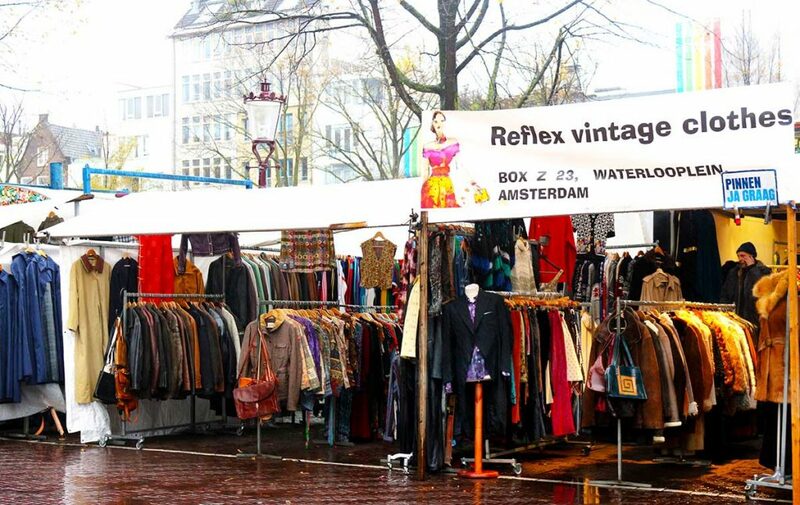 You can also find some used and vintage clothing on Saturday at the Noordermarkt. One of Amsterdam’s many weekly street markets, Waterlooplein is the location of an historic flea market. Every day except Sunday you’ll find all kinds of items ranging from bicycles to candles to vintage clothing and assorted junk. Come take a look, there are several vintage shops nearby as well. Looking for a place for a coffee, lunch or snack nearby? Check out Soup en Zo or head to Cafe de Sluyswacht. Charming Betty Blue is just up the road, and close to another amazing vintage shop Bis. The monthly IJHallen flea market in Amsterdam Noord is worth a visit for the vintage clothing lover. Entry to the market is €4. Inside the two huge NDSM halls you’ll find piles and racks of used clothing and accessories at mostly very low prices. Some of the above vintage shops even open their own “outlets” at the flea market. Not vintage stores per se, but the Rataplan second hand shops are a terrific place to find deals on used items. 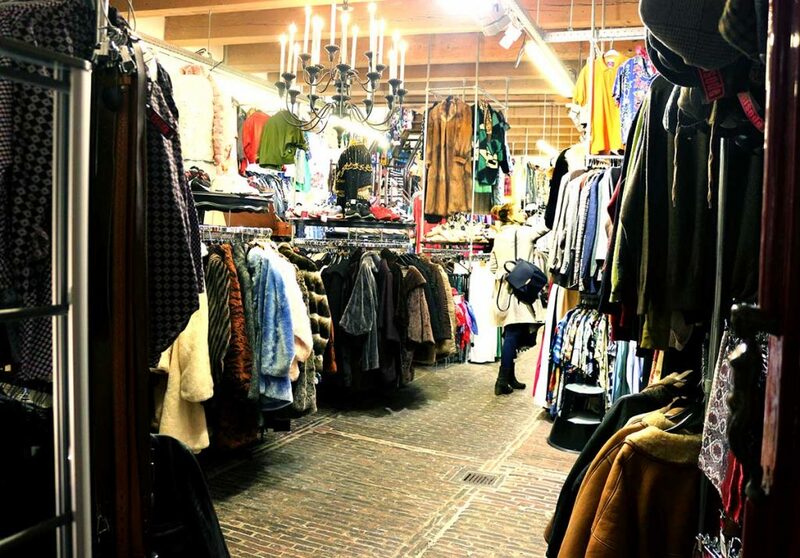 Rummage around and you might score some amazing vintage clothes, jewelry or something for your home. If you are into vintage and classic tablewear and knick knacks you are sure to find lots to love. There is a huge location near Sloterdijk station, one by Rembrandtpark and another near Westerpark. Not a store but a regular vintage and used clothing market that changes location every time, Vintage per Kilo is a fun event if you like scoring deals. Check the Vintage per Kilo website or follow them on Facebook to find out when the next market will take place. 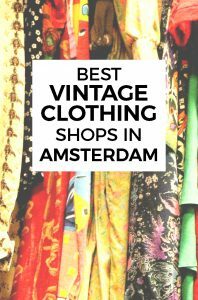 I hope this list helps you find your favorite vintage clothing shops in Amsterdam!